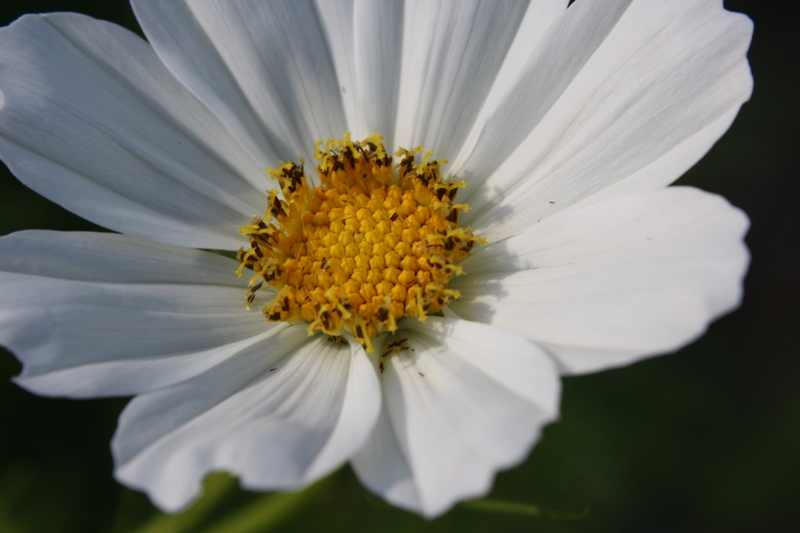 Free high resolution close up photo of a white garden cosmos flower. Garden cosmos or Cosmos Bipinnatus is also referred to as the Mexican aster. It is an annual plant that is easy to grow and flourishes in high sunlight low water situations. Free image for any use.